This post is filed under Cheese, Frozen, Oven, Pasta, Tomato Sauce. I’ve never tried frozen lasagna, but maybe I should. 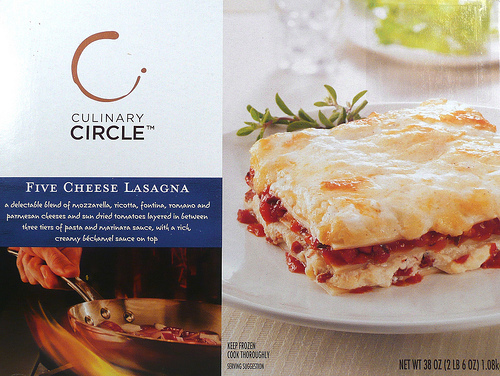 I’ve not tried any Culinary Circle product — they just started selling it here (St. Louis) in Shop ‘n Save stores. 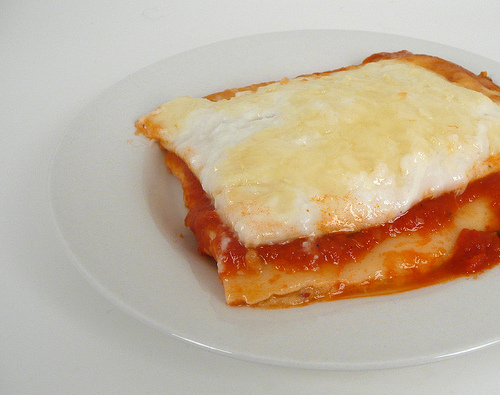 Lasagna is such a pain to make, not to mention the fact that, as a single guy, I wind up eating it for several days, maybe a frozen sample would be nice. Technically not frozen, refrigerated. But that salt content is somewhat insane. Good Stuff, rivals the Famous Stoufers Frozen Meat Lasagna!